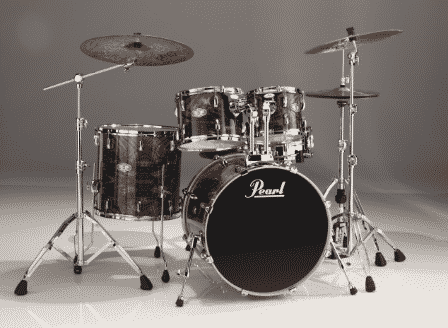 Pearl will debut a Special Edition Vision VSX shell pack in the summer of 2010. This drumset will feature a luxurious Artisan II finish using Pearl’s exclusive Digital Grain Transfer technology. 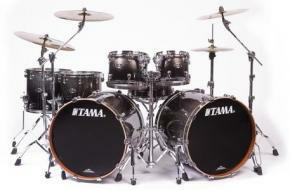 This particular kit is finished in Ebony Feathered Walnut. Pearl’s Vision VSX drumset features a birch ply shell composition, built using Pearl’s Superior Shell Technology process. The 6-ply shell thickness of the rack toms and 8-ply shell thickness of the floor toms and bass drums gives this kit an incredible balanced sound, perfect for all styles of music and all levels of drummers. The matching snare drum will be sold separately.